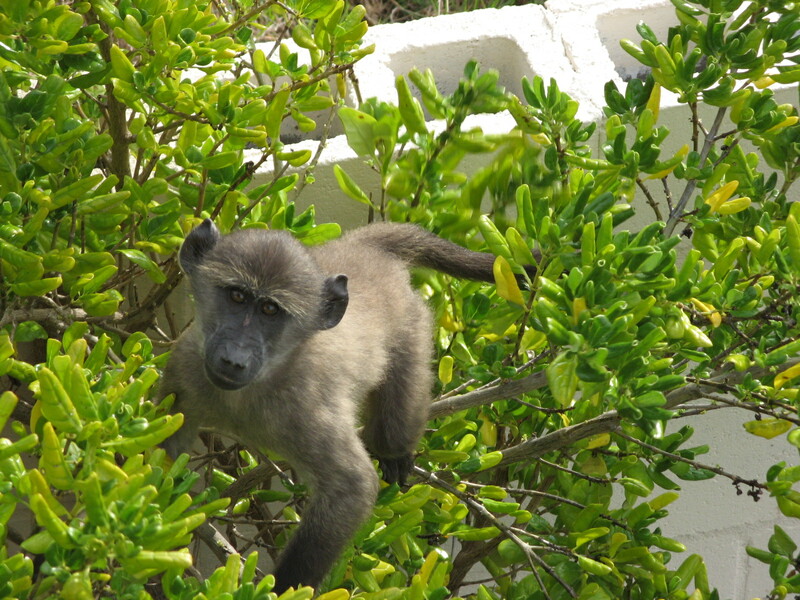 The chacma baboon (Papio ursinus) is wide spread throughout South Africa but the Cape Peninsula has the unique privilege of having these animals living in close proximity to the urban environment. The flip side of this however is that an increasing human population and the resultant urban sprawl is putting pressure on troops and their access to resources such as space and food. This situation leads to an increase in human/baboon interactions which usually can have detrimental consequences for both sides. 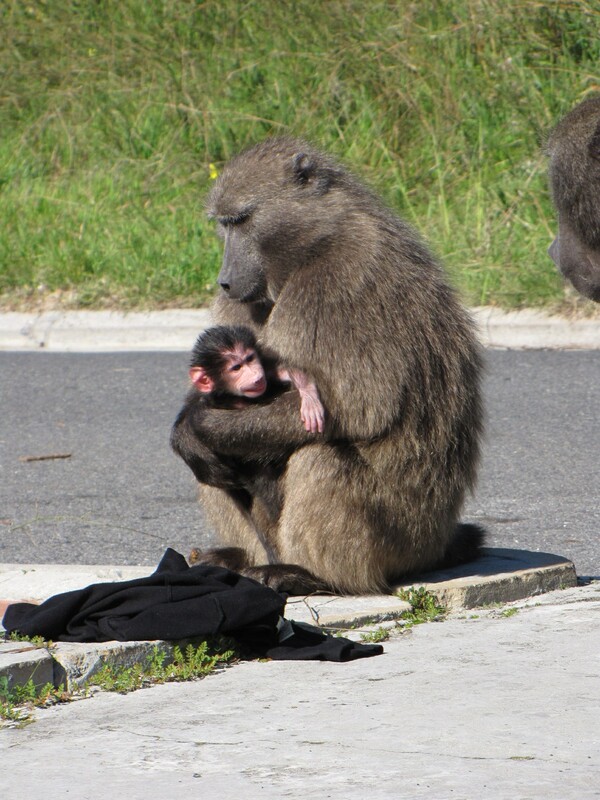 Baboons are attracted to urban areas because of the easy access to food and water especially during the summer months and after fires. The food found in the urban environment lacks the nutritional benefits of natural foraging with most of these foods being high in sugars. The communities in this region tend to have a love/hate relationship with these animals and one of the key causes for this is the fact that we seem to have lost sight of the fact that these animals are wild and need to be treated with respect. The simple fact that a mature baboon’s canines are four times the size of that of a lion is enough for me to keep my distance. 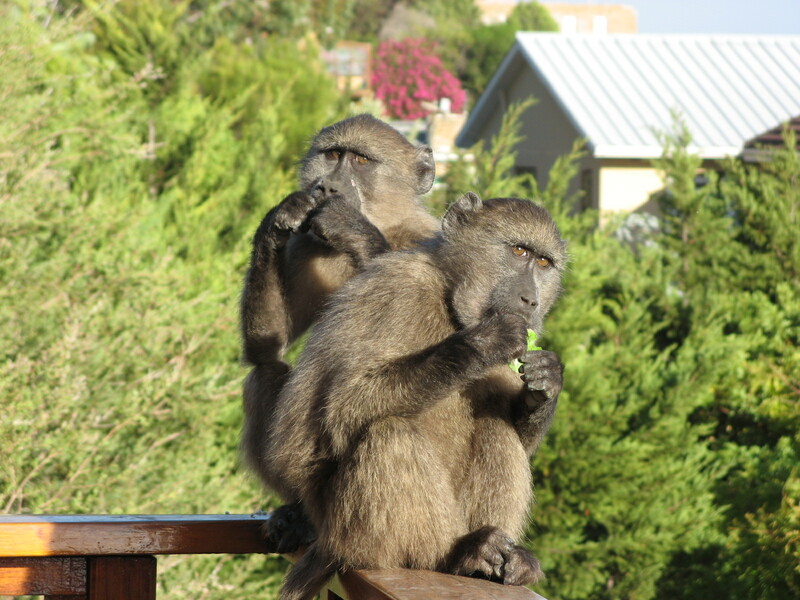 Cape Nature and SANParks even ran an awareness campaign highlighting the dangers of feeding baboons and various ways in which to minimise the risk of encountering them out and about in Cape Town. There is also a commonly used phrase in South Africa, “A Fed Baboon is a Dead Baboon”, which efficiently sums up the effects irresponsible human behaviour can have on these animals. Slow your car down and keep a safe distance. The little ones have a habit of suddenly darting across the road. Keep your doors and windows locked. Some individuals have learnt how to open unlocked car doors. Do not get out of your car to take a closer look! Never feed a baboon. This leads to habituation and baboons becoming overly confident around humans… not a good idea. Keep your doors and windows locked, both while you are out and while there are baboons in the area. Secure rubbish in baboon-proof cages until rubbish collection day. Enclose vegetable gardens, fruit trees and compost heaps. Learning and watching the body language and behaviour of your pets is a great early warning system as they tend to be alerted to the presence of baboons in your neighbourhood before you are. To increase the chances of these proofing methods working, ensure your neighbours also carry out these precautions. Those are some pretty big chompers!! Remain calm and back away slowly without making eye contact. 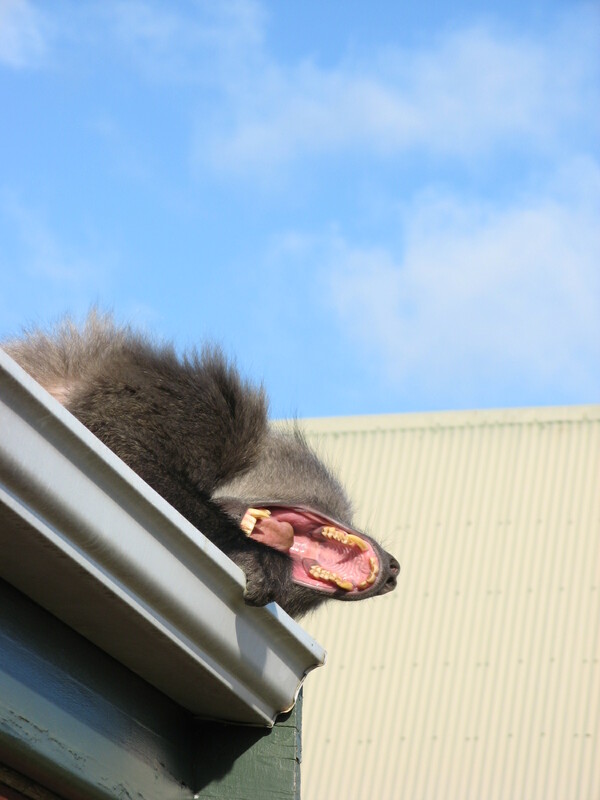 Never corner or trap a baboon as it will become agitated and as a result act out aggressively. Never try to take food back from a baboon that has just grabbed it from you, it will fight for it and you will come off worse than going ten rounds with Ali! Don’t get between members of a troop, especially a baby and an adult. 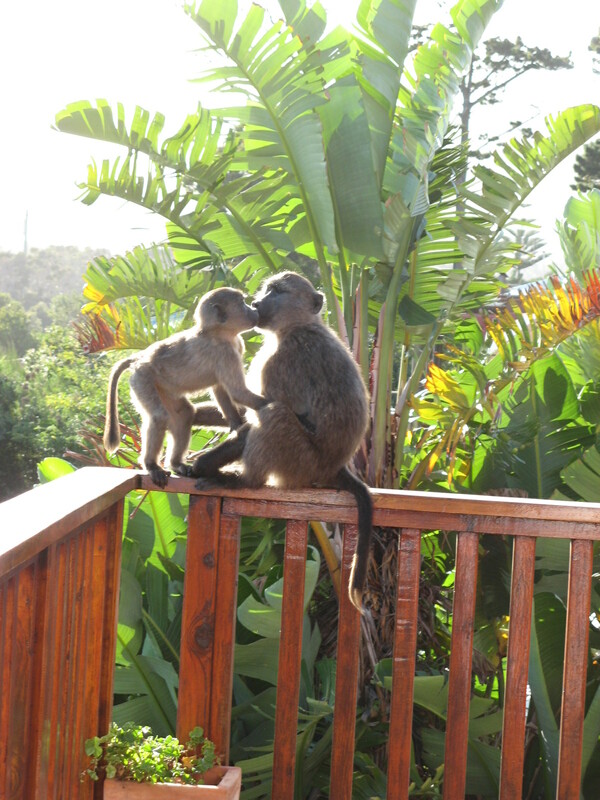 Don’t let your dogs out of your house when baboons are in the area. Regardless of the size of your dog, baboons are wild and therefore the situation will not end happily. Juveniles are a mischievous bunch! 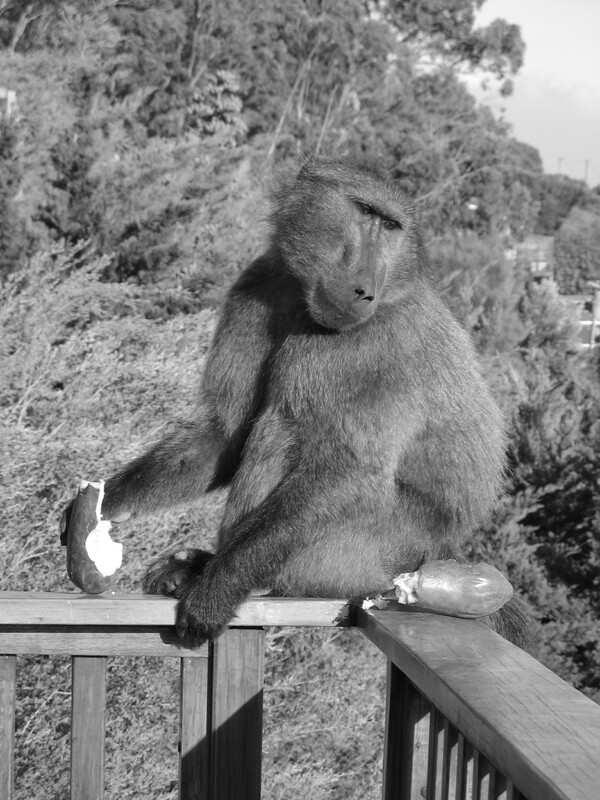 Fill in an incident report (obtained from: City of Cape Town Baboon Incident Report ) and email to baboons@capetown.gov.za. Yeah I’m disappointed that I couldn’t make it…it all sounded super interesting!! The CT baboon troops are a real complex management issue especially since Table Mountain National Park is a non-fenced reserve which is awesome but it also adds another dimension, not encountered in the other parks, to the situation.